The industry's finest car covers! Covercraft has been protecting vehicles since 1965 with the industry’s finest custom made car covers. With over 55,000 patterns, Covercraft offers car covers to custom fit virtually any vehicle ever made. Since each pattern is based on the exact measurements of a given vehicle, you can be sure that your custom-made car cover will fit your vehicle like a glove. In addition to a huge inventory of patterns, Covercraft currently offers 12 different high performance fabrics. Each one is designed to meet your specific needs, no matter where you live and how often you drive your vehicle. The fabrics are listed below. Double stitched overlapped seams are strong and durable. Neoprene elastic is sewn into the front and rear hems to help hold the cover in place. Reinforced, non-scratch grommets include a protective flap on the backside and can be used with a tie-down rope (supplied) or vinyl coated cable and lock (optional). * Please Note: If your vehicle has a non-retractable antenna, you will have to make a small opening in the car cover to accommodate the antenna. Please indicate in the comment box of your order that you need an antenna grommet and we will be happy to send you one free of charge. COVER FABRICS - Which One is Right for You? Covercraft offer a wide selection of fabrics, to allow you to select the one that will meet your vehicle's protection needs and budget. Different fabrics offer different levels of protection performance, and some focus on protecting from a specific element, like intense sun exposure or dust. Assess your needs: Where do you park? Do you drive the vehicle daily? Is your vehicle exposed to snow, rain, dust, etc? How much would you like to spend? Answering these questions will help narrow your search for the perfect car cover. The BLOCK-IT 200 is a lightweight, mid-priced car cover with a good balance of water resistance, breathability, UV resistance, and dust protection. This cover is best for everyday outdoor use in temperate climates. Ready Fit or Custom cover available. The Polycotton cover is a great indoor cover or occasional outdoor cover. It is not as weather resistant as WeatherShield or BLOCK-IT fabrics, but it does provide basic dust and water protection. The Polycotton is a lightweight cover, well suited for everyday drivers. Custom covers available. The Block-It 380 can be used indoors or outdoors. It’s lighter than the heavy duty Block-It 400 while still providing excellent protection in outdoor conditions. For garage or carport storage, the Block-It 380 has an inner dust barrier to keep paint-fouling contaminants away from your vehicle’s finish, even over lengthy periods of storage. For outdoor storage, the outermost layer resists moisture but is breathable to allow heat to escape. Ready Fit or Custom cover available. The BLOCK-IT 400 Evolution fabric is a durable outdoor cover. This fabric offers an excellent balance of UV resistance, weatherproofing, waterproofing, and dust protection. This is the best value for an outdoor car cover. It’s not as lightweight as NOAH, but an experienced car cover user can manage it daily. Ready Fit or Custom cover available. As its name implies, NOAH fabric is the most water resistant of all of CoverCraft fabrics. It is a great outdoor cover, particularly in areas prone to wet weather. The Noah is not as lightweight and manageable as the WeatherShield, but it can still be easily handled by most people. Use it for occasional or long-term, outdoor or indoor storage. Custom covers available. This is CoverCraft’s finest indoor-only cover. It provides superior dust protection without all the extra features you don’t need. The inside layer is the softest of any of CoverCraft’s fabrics. Use the DUSTOP cover to protect antique or collectible vehicles, or any vehicle that is strictly garage-kept. Custom covers available. The flannel cover is intended for indoor use or occasional outdoor use. The napped underside pampers delicate paint finishes and the strong, polycotton fibers provide good dust protection. This is a heavier fabric so it may be best suited for long-term storage. If you want a lighter indoor cover, check out the Polycotton cover. Custom covers available. This cover is great for every day, outdoor use. It is not as heavy as the other outdoor fabrics, but it still provides superior water, weather, and UV resistance. It can be easily removed and folded every day by virtually anyone. Even if you need a cover primarily for indoor use and only occasional outdoor use, the Weathershield HP is your best choice. It will keep dust out no matter where you park. Custom covers available. The Ultra’tect car covers provide great outdoor protection and they’re easy to handle every day. If you park outdoors every day or on the street, the Ultra’tect will keep your vehicle clean and dry while providing excellent UV protection. The superior shape retention and fade resistance will keep your Ultra’tect cover looking good over the long run. Custom covers available. If you are storing your vehicle outdoors for extended periods, WeatherShield HD is the best choice. It is superior to all other fabrics for intense sun climates (like Florida) and coastal areas. Use the WeatherShield HD in dry, dusty climates or rainy ones. It’s the best all-around outdoor protection offered by Covercraft. The WeatherShield HD is a significantly heavier fabric than the regular WeatherShield. Custom covers available. This cover is designed specifically for intense sun environments, like Arizona, Florida, or other Sunbelt states. The lightweight Sunbrella fabric is ideal for everyday use and for long-term outdoor storage. Custom covers available. The FormFit cover is for people who want to wrap their vehicle in the ultimate body-hugging garment. This cover is intended for indoor use only. Pamper your treasured car in the luxurious softness of a fleece-like inner layer. Collectors and enthusiasts will love this cover. Custom covers available. 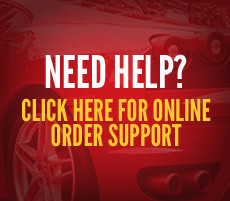 You can click on the Order Cover buttons here to begin the order process. You will be asked to make a series of selections to pick your desired cover.